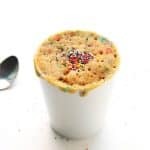 Coconut Flour Vanilla Mug Cake – satisfy your sweet cravings in a flash with this coconut flour mug cake that is gluten free, paleo friendly and ready in minutes! The recipe includes an option to make this treat low-carb or keto. 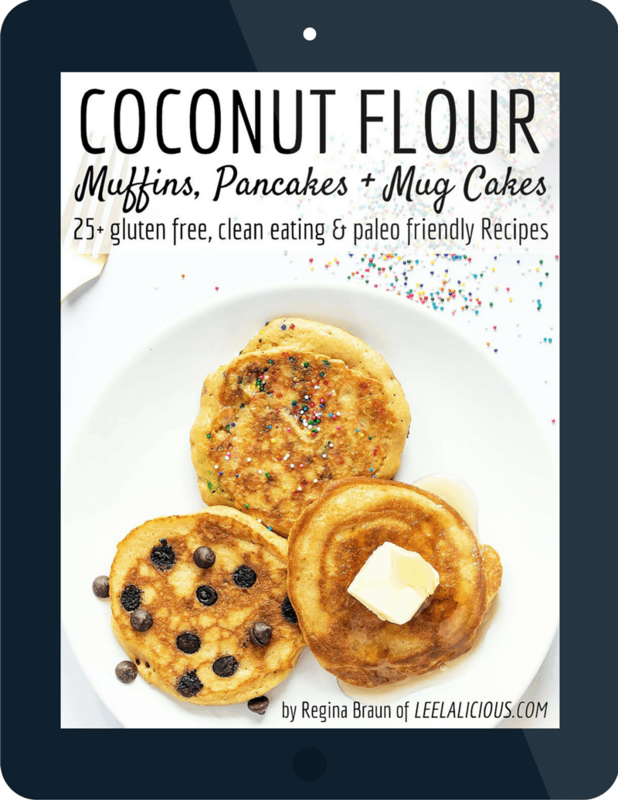 My eBook “Coconut Flour Muffins, Pancakes & Mug Cakes” is NOW available! It’s a soft and sweet vanilla flavored cake (sprinkles or chocolate chips optional) that takes just a few minutes to whisk together and then ‘bakes’ in the microwave. 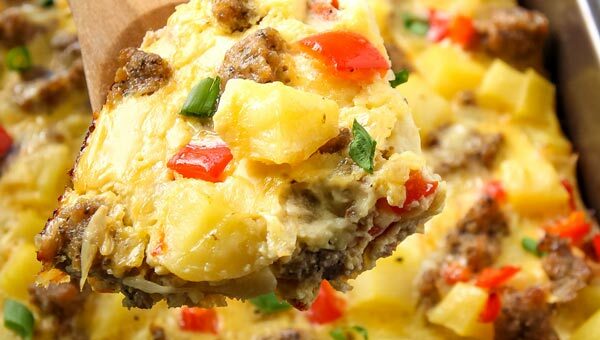 Perfect for late night cravings or when you just have no time to make a full cake. The best part is, that this cake is made with coconut flour. 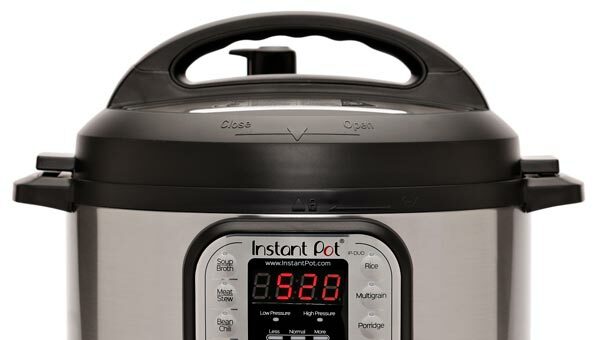 It is entirely grain and gluten free, paleo friendly and clean eating! The sprinkles are totally optional. India Tree makes naturally coloured sprinkles, you can also try naturally dyed shredded coconut or simply a few dark chocolate chips. And this is just one of the many awesome coconut flour recipes from my new ebook. Maybe, you have never used coconut flour before and don’t know if you want an entire cookbook using that ingredient. I was in the same spot almost 3 years ago. Never having worked with coconut flour before, I didn’t even know where to start. Let me tell you, the first attempts weren’t so pretty (or tasty). The first time I struck gold was with these Pumpkin Coconut Flour Muffins. My family loved them and it turned out that everyone who made them from by blog, loved them too. To this day that muffin recipe is one of my top 10 most viewed posts. Within the last year, something similar happened when I made a mug cake and even pancakes using coconut flour. They got rave reviews from everyone; with readers commenting and thanking me for a coconut flour recipe that finally turned out well and tasted delicious! I felt I was on to something. And the idea for a cookbook with coconut flour recipes was born! But I am not a know-it-all when it comes to this specific and kind of temperamental flour alternative. For the life of me, I cannot get larger cakes to hold shape without being super dry. I’ve made cookies with good results, but they don’t have the chewy/crispy cookie texture that I like. So finally, I narrowed it down to writing a coconut flour cookbook around the 3 recipes types that I’ve nailed. I researched to find out everyone’s most favorite flavors when it comes to muffins, pancakes and mug cakes. Then, I tested and experimented with making delicious coconut flour versions of those popular flavors. It was a long process that I invested a lot of time, sweat and love into. Now, I am exhilarated to launch the book officially. Find more information about the eBook here! In a large mug, whisk together coconut flour, baking soda, and salt. Add egg, coconut oil, maple syrup, coconut milk, and vanilla extract and mix thoroughly to combine. Very gently fold in optional sprinkles. Microwave for about 2 minutes. Start checking at about 1.5 minutes. Let sit for a couple minutes before eating. Optionally, top with a few more sprinkles before serving. For more teaser recipes from the book check out these Fluffy Coconut Flour Pancakes and Double Chocolate Chip Muffins. Oh my god this is so good!!! It is just what I needed today. 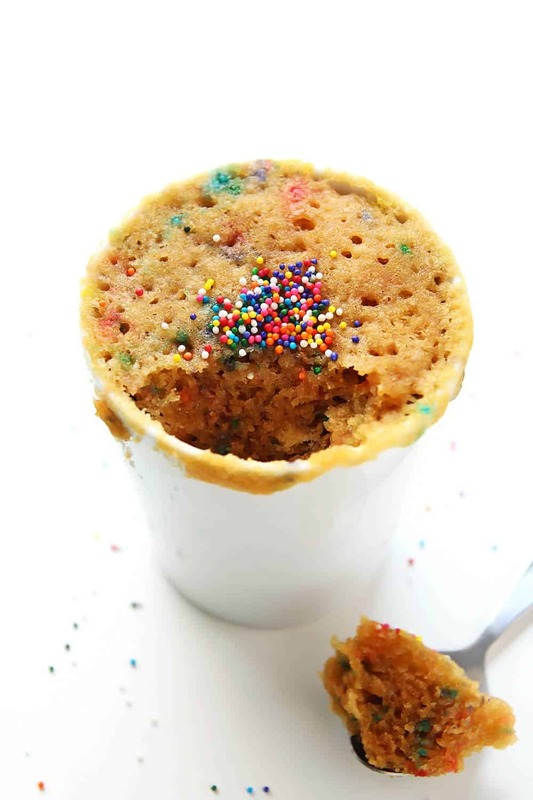 I love a good mug cake and this has the perfect amount of sweetness and no sugar crash after. Thanks for saving me! Swapped coconut milk for regular milk and coconut oil for butter. Also used lemon extract instead of vanilla. Came out light and fluffy and tasty! Will be using this recipe again! Not sure what’s going on but I put all the ingredients into myfitnesspal and it says this mug cake has 436 calories and that’s without a sweetner! Your nutritional value says it’s only 264, I’m confused. I have tried soooo many Paleo mug cakes recently and all of them have been kind of blah in flavor and end up being super dry. This one however FINALLY tastes like an actual dessert!! Plus it’s definitely moist enough to have the texture of a regular cake. I subbed unsweetened vanilla almond milk for the coconut milk and didn’t put a full 1/2 tsp of vanilla extract. So awesome to hear you enjoyed the recipe! I am so happy to hear you enjoyed this vanilla mug cake recipe so much, Marie!! Loved this recipe! Only change I made was to use Almond milk instead of coconut milk. I’ve been a little scared to try baking with coconut flour as the last 2 coconut flour pancake recipes I tried failed miserably! However this one was a success! I can’t wait to change the flavour up with some sugar free chocolate powder! Thank you!! This sounds so good. Has anyone tried using a chia egg? Ooooh. This was good. I realized that mixing well does make a difference. When it comes to baked goods we are so often warned not to overmix, but in this case, mix more than you think necessary. If not, you’ll end up with streaks of egg whites and bitter pockets. Well mixed, this was delicious. That’s a great tip and observation! Yes, with coconut flour you can and should mix the heck outta it. Since there is no gluten there is no danger of over-mixing (which means over-developing the gluten in wheat flour recipes). I just made this, but subbed Splenda for the maple syrup and increased the coconut milk for the right texture. It was awful. So bitter! I wonder if the Splenda reacted with something to make it bitter. Either way, I could not eat it. If you can try making this with baking powder instead of soda. I’ve heard from a couple people now that this turned bitter for them which doesn’t make any sense to me. But I figured some seem to be quite sensitive to baking soda? Ohh yum, pumpkin spice syrup sounds delicious! What are the nutrional values please? I just made this (without sprinkles) and am in heaven! It was so good!!! I don’t often find dessert recipes I can eat due to my dietary restrictions. Thank you for the amazing recipe! This was really quite bitter. I saw an earlier post saying it was probably the baking soda so I cut down on that and it was still bitter. I was excited too because I love using coconut flour. I am sorry you didn’t have a great experience and thank you for your feedback. I am puzzled how the combination of those ingredients can result in a bitter flavor. And since you say you love coconut flour, I assume your bag of it isn’t off in some way. My only other explanation is the baking soda. I have heard that some people are really sensitive to the flavor of it, although I have never experienced it. If you are not opposed to trying regular baking powder, I wonder if that will remedy the bitter flavor for you. If you are open to trying this again, I would use about 1/2 teaspoon baking powder instead of baking soda. 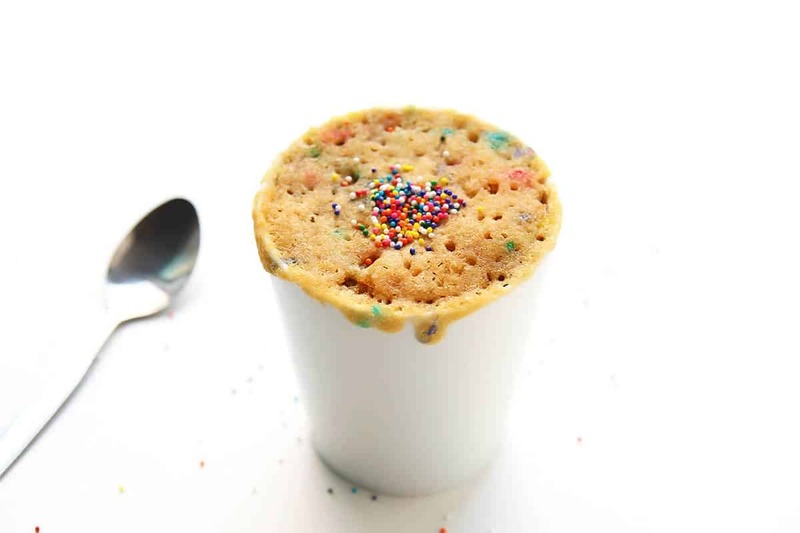 Sprinkles in a mug cake? Why is this the first time I’m seeing this?? Great use of coconut flour, and I can’t have egg so I subbed 1 tbsp sunbutter (which is fun because it turns green). Surprisingly rich and very easy to make, delicious vanilla flavor. Thanks for the recipe! OMG had a craving for something sweet 15 minutes before a conference call. Threw it all in a mug and it was yummy. Delish! Thanks for the awesome recipe! I substituted coconut milk for almond milk and the sprinkles for enjoy life chocolate chips and it turned out great!! So wonderful to hear your great feedback Rachel! Hi, I found that 2 tablespoons (4dessertspoons) of coconut oil in the mug made the cake much too oily, and I had to pour some of it off before it was finished. Absolutely delicious.Love it.I put some coconut whip cream on top and voila’!I did use almond milk but that is the only alteration I made. 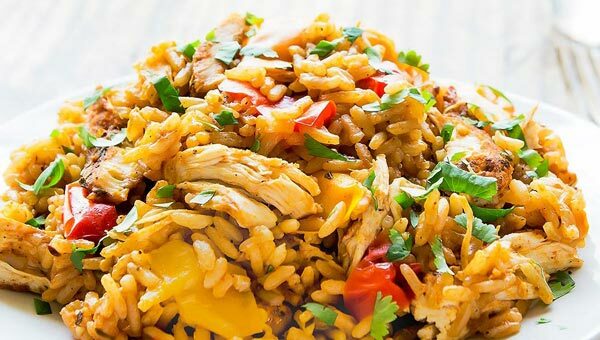 What are the nutrition fact for this yummy recipe? Do you think I could use cashew milk instead of coconut milk? I’m excited to give this recipe a try! I have a million food sensitivities, but I think i can actually eat this! Thank you! In fairness, I can’t rate this recipe – YET. Here’s why. This was my first time using coconut flour & I was SO looking forward to trying this cake. I love vanilla and the finished cake smelled & looked heavenly! However, I don’t know if I did something incorrectly or what BUT, despite having mixed the batter very, very well, the finished texture was grainy – REALLY grainy. Maybe that’s just the coconut flour? Since I haven’t used it before, I don’t know. Okay, I can live with grainy, it’s not so bad. What surprised me was the distinct after taste – bitter. Unfortunately, I have a super-sensitive palate when it comes to anything that’s even slightly bitter & I couldn’t eat the cake. Should the coconut flour be the culprit, can this cake be made with a different gluten-free flour? I’d like to try again but would appreciate your input first. Thank you! Hmm…do you think something could be wrong with your coconut flour? Mine is never bitter but actually coconutty-sweet. The ratio in this recipe is optimized for coconut flour, so I don’t think any other flour could be substituted one for one. At the bottom it did get a tiny bit bitter.I realized that 1 I didn’t mix well and probably was tasting a mix of overcooked and baking soda.I would try again,mix very well and cook less maybe? Sounds like you somehow added too much baking soda. That would account for bitter and grainy. I should know, I’ve done that! 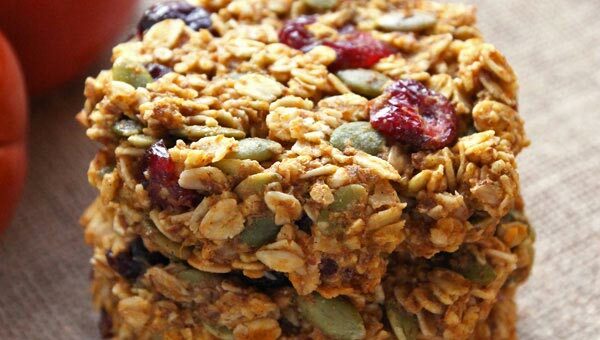 I love this recipe and am going to try it w/stevia (I do Trim Healthy Momma) Thanks for posting it! Thank you Heather, for such great feedback 🙂 I’ve made different coconut flour mug cakes as well, and this vanilla version is definitely my favorite as well! 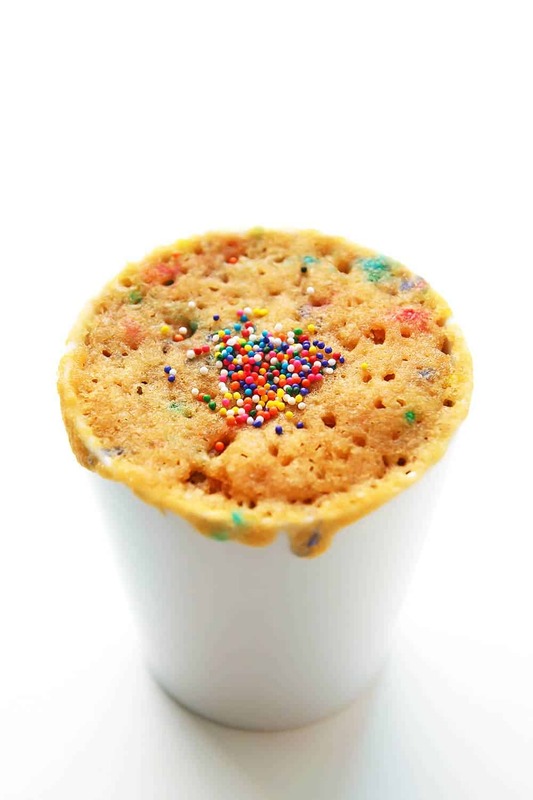 can you believe that I have never made a mug cake – I would like to start with yours. Thanks so much, Rachel! Also for the pin love! do you think that I can substitute egg with an egg replacer powder (mix of starch) or with xanthan gum , or with “chia/flax seed egg” ? Thank you so much! 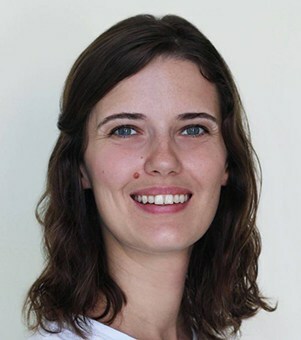 Hi Sara, I have once replaced part of the egg in a coconut flour recipe with flax egg. But have never tried to replace all of it. Do let me know if you try it. I don’t own a microwave . . . .how long would I bake this? To make them in the oven, I suggest making them in a muffin pan (2-3) or small ramekins and bake at 375F. I am guessing it should take between 15-20 minutes but make sure to check regularly. Can I substitute stevia for the maple syrup or will this effect the cake consistency? If I can, liquid or powder, and how much would you use? I believe you can use stevia without affecting the consistency. If the batter seems too dry you can always add a touch more coconut milk etc. As for the amount, I would say to taste. I am only familiar with stevia drops. It probably not take more than a few drops for me. Hope this helps.